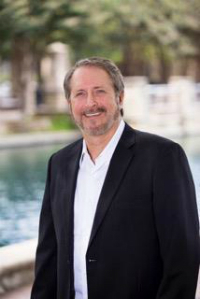 Realtor George Herring has been member of the Dallas community for over 29 years, beginning his real estate career in 1998. Realtor George Herring was the first sales associate hired at RE/MAX Dallas suburbs. During his time at RE/MAX Dallas suburbs George Herring has earned the ABR and CDPE designations. Realtor George Herring, agent for RE/MAX Dallas suburbs real estate takes pride of his “Work by Referral Program”. Over 90% of all his clients are repeat clients or referrals from previous real estate clients. Working exclusively in the far north Dallas Texas area, which include the cities of McKinney, Allen, Frisco, Plano, and Carrollton Texas George Herring has develop a vast understanding of the far north Dallas and Collin County real estate market. It will go without saying that Realtor George Herring agent for RE/MAX Dallas suburbs real estate will work hard for you before, during and after your home is bought or sold. If you are looking at new construction, Realtor George Herring, agent for RE/MAX Dallas suburbs real estate can help. George Herring specializes in new construction homes in the cities of McKinney, Allen, Frisco, Plano, Carrollton Texas and Collin County. George Herring has worked most premier builders in the area to insure that your get exactly what you are looking for in a new home. Existing Homes and Investment Properties are also specialties for Realtor George Herring, agent for RE/MAX Dallas suburbs real estate. Whether you are looking to upgrade to a world class home in the cities of McKinney, Allen, Frisco, Plano, and Carrollton Texas or in Collin County or just looking for that investment property to increase your household income, George Herring can help you find that perfect fit. Realtor George Herring, agent for RE/MAX Dallas suburbs real estate can be found in the community when time allows. George Herring is a single father raising a beautiful young lady in the Collin County area. George is very aware of the performance of the different school districts in the area. This is a plus for anyone with children looking to buy a new home in cities of McKinney, Allen, Frisco, Plano, and Carrollton Texas or in Collin County. George is an avid golfer and can been seen on the local courses in the area. George also enjoys the local work out facilities and of course spending time with his friends and family. Realtor George Herring, agent for RE/MAX Dallas suburbs real estate serving: McKinney, Allen, Frisco, Plano, and Carrollton Texas and North Dallas and Collin County.